I must say that I have no interest in all this World Cup football (aka soccer here in Australia) malarkey going on at the moment. I really can’t understand why Australians got up so early to go stand in a freezing cold park at 4:30am in the morning to watch Germany whip us good on a big screen. But then again, others probably don’t understand why I do what I do half the time. Anyway, I thought I should contribute something and seeing as I love music, here is a football song from the 1992 European Football Championships. The official song no less, featuring a very young Peter Jöback and another Swedish singer, Towe Jaarnek. A typical football anthem, I suppose, and quite catchy. I wish someone would put up the E-Type dance remixes. 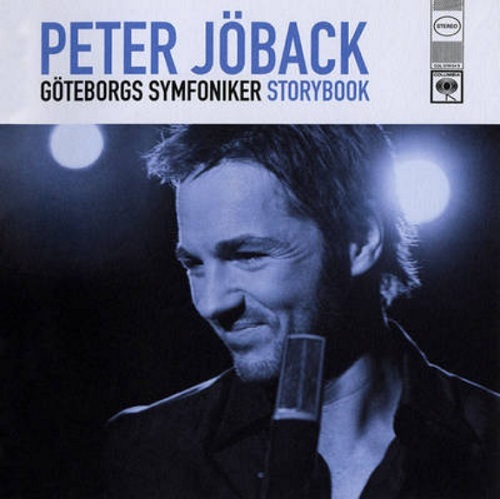 Peter Jöback has released a video clip for his Melodifestivalen song “Hollow”. It is an acoustic version featuring Peter’s stunning voice and a piano. In some ways, I think it works better than the original. Lets hope they release this version too, even if just as a digital download. Despite a slow start to Melodifestivalen, things have picked up considerably. The fourth semi-final was by far the best so far, with some great songs. 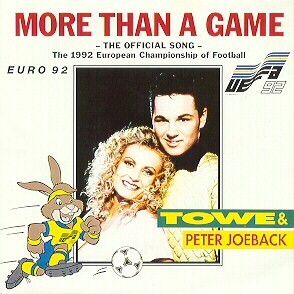 Even putting my bias aside, Peter Jöback was always going to get through to the final. “Hollow” is a big song with a big hook sung with a big voice. Good to get some dance pop schlager with Pernilla Wahlgren. Love this one. Some more fun dance pop with Neo and “Human Frontier”. I became a Neo fan last year and this song does not disappoint. Love the outfit too plus the cane. I was disappointed that Sibel was totally knocked out of the competition. Her energetic performance of “Stop” combined with her chunky purple dress should have got her through to at least Andra Chansen, the second chance final but alas no. Peter got through to the final, and Pernilla and Neo will get another go in Andra Chansen. That now makes three artists (Pernilla, Neo and Alcazar) in Andra Chansen that I want to get through and of course, only two will get through. The way it is structured, Neo and Alcazar can’t both get through but I would be happy for either of them to join Pernilla going through to the final. We should know by this time tomorrow who is making the final line up for the grand final on 13 March 2010. I must say that Melodifestivalen has been a bit lack lustre so far. An impressive line up of artists but the songs haven’t quite been up to scratch. The quality has picked up for the third semi-final but none of my favourites made it through to the final, although one did get through to the second chance final so there is hope yet. “Headlines” by Alcazar is my favourite out of the first three semi-finals. Not as punchy as their entry last year but very catchy nonetheless and I love the effect of the cars driving seemingly under the stage. “Doctor, Doctor” by Elin Lanto is a great dance pop song which has nothing to do with the Thompson Twins classic with the same name. She looked great on the night and the effect with her hair towards the end was visually stunning. I can’t believe it came so low. A change of pace with Eric Linder and “Hur kan jag tro på kärlek?”, one of the few Swedish language songs in the contest. A more traditional Swedish pop ballad but beautifully sung. It only just missed out on the second chance final. It was great to see Kenneth Gärdestad get recognition. He wrote the lyrics for the song and of course is best known for all those classic songs that he wrote with his brother Ted back in the 70s. None of the other songs rang my bells so to speak. Darin made it through to the final and I do acknowledge that the song does sound like it could be an international hit single and I wouldn’t be surprised if he ends up representing Sweden at Eurovision in Oslo. He also has the talent to break it internationally. The song just didn’t grab me on the night. Only one more semi-final to go. Another impressive line up which includes Peter Jöback, Neo and Pernilla Wahlgren (responsible for one of my all time favourite Melodifestivalen songs “Piccadilly Circus” in 1985). There was a bit of a drama earlier in the week which could have seen Peter’s and another contestant’s songs being disqualified but thankfully that has been sorted out. I have heard the one minute clips from each of the songs but will wait until I have seen all the complete performances before I pass any judgement.